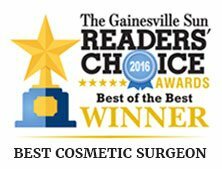 Gainesville Plastic Surgery | John W. Tyrone M.D. Plastic surgery and non-surgical cosmetic enhancements not only restore a more youthful appearance to patients, they also reinvigorate a sense of confidence — and confidence is beautiful. The staff at John W. Tyrone M.D. Aesthetics & Plastic Surgery works to ensure each patient feels completely satisfied with their results. We are dedicated to helping patients achieve their aesthetic goals and address certain health conditions. 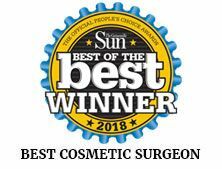 As a leading plastic surgeon in Gainesville, FL, Dr. Tyrone is unrivaled in his dedication to his patients and unmatched surgical skill throughout the greater North Central Florida region. As a Board-Certified Plastic Surgeon, Dr. Tyrone is expertly trained to provide you with the latest surgical techniques, performed in a state of the art surgical center. We also perform non-surgical procedures using the latest facial fillers and products such as Botox®, Restylane® and Juvederm®. A licensed Aesthetian is also available for all your skin care needs. 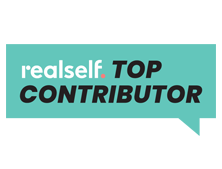 We hope you find this website a useful resource if you are contemplating Plastic Surgery. We are conveniently located in Gainesville, Florida, and proudly serve all of north Florida including Ocala, Jacksonville, Lake City, Tallahassee, Chiefland and surrounding areas. We look forward to serving you. Feel free to contact us if you would like more information. With over 14 years surgical experience and dedication to communication with patients, John W. Tyrone M.D. Aesthetics & Plastic Surgery is dedicated to helping patients achieve renewed confidence and satisfaction. 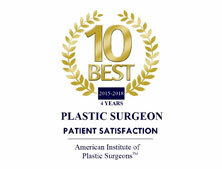 Dr. Tyrone is a leading plastic surgery and aesthetics physician in Gainesville, FL. 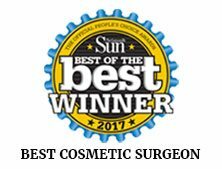 John W. Tyrone, MD is a Board certified Plastic and Reconstructive surgeon specializing in cosmetic surgery of the body, breast and face. He is certified by the American Board of Plastic Surgery and a member of the American Society of Plastic Surgeons. The highest compliment a plastic surgeon can receive is the trust and appreciation of a patient following their cosmetic surgery procedure. Dr. Tyrone’s surgical expertise make his patients’ dreams possible. See for yourself! Dr. Tyrone specializes in all aspects of facial rejuvenation and body contouring procedures including brow lift, upper and lower lid blepharoplasty (eyelid surgery), face/neck lift (rhytidectomy), rhinoplasty, chin augmentation, laser resurfacing, Botox and fillers, liposuction, abdominoplasty, brachioplasty, torsoplasty (body lift), breast surgery including breast augmentation with saline and silicone gel implants, breast reduction and breast lift surgery. The abdominoplasty can rejuvenate your self-confidence. Dr. Tyrone believes the most informed patients are also the most comfortable, confident and satisfied patients. Call us to discuss your abdominoplasty options today. Mommy Makeovers are designed to counteract the physical effects of childbearing and enhance your appearance. Call us today to schedule a consultation for your tailored treatment plan that best fits you. Give and receive the gift of beauty with our exclusive monthly specials and promotions, designed to help you get the most out of your procedures. At John W. Tyrone M.D. Aesthetics & Plastic Surgery, we love to keep our cosmetic surgery patients satisfied. View our current specials and call us to schedule an appointment with Dr. Tyrone today.